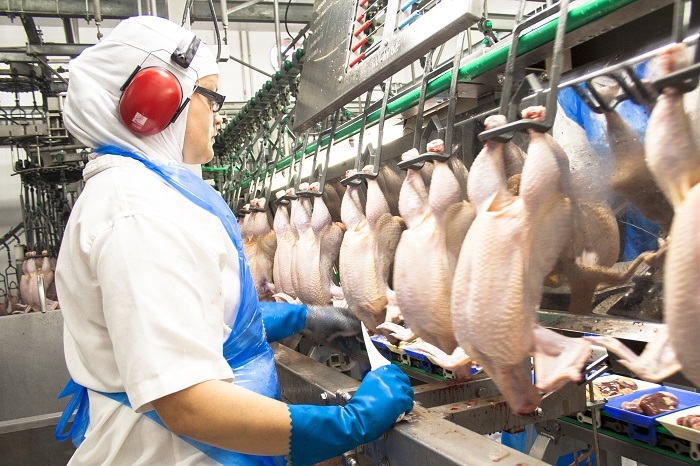 The British Poultry Council (BPC) has warned that a Europe-wide shortage of carbon dioxide used in the stunning of animals before slaughter is putting pressure on processing plants, with some close to running out. The trade body has called on Government and major gas producers to prioritise supplies to slaughterhouses and keep the food chain moving. “We are assessing what the possible impact on food supply might be, and BPC members are working hard to minimise the effect,” said BPC chief executive Richard Griffiths. The British Veterinary Association (BVA) warned the shortage could be bad for poultry welfare if it is not soon eased. CO2 is used to stun poultry in order to perform humane slaughter. If there are not adequate supplies of CO2 to slaughterhouses, this could result in a backlog of animals leading to a critical animal welfare situation on farms if they cannot be processed. In addition, the lack of CO2 would also affect the ability of farms to carry out emergency slaughter on site. Along with colleagues in the poultry industry, the veterinary profession is calling on all major gas producers to prioritise CO2 supplies to slaughterhouses in order to ensure standards of animal welfare are maintained and to keep the food chain moving. “The British poultry industry has some of the highest welfare standards in the world and action must be taken to ensure that these CO2 shortages do not jeopardise the UK’s reputation in this area,” said a BVA spokesman.